When I first decided to spend three months traveling through Mexico, I was met with different reactions. Apart from my family being deadly worried about my chosen destination, most of my friends were excited and above all wondered how I could leave my work for three whole months. The nicest thing about it was that I wouldn’t have to. I am a psychologist working as a Coach for Nobel Coaching & Tutoring. Areas of online professions are constantly expanding and although programming, translation, web design, etc., constitute what you might consider typical freelance jobs, a growing need for an easily accessible professional who can help you deal with many life issues has led to Coaching finding its place in the online work market. The two greatest advantages of working with an online Coach are, as I mentioned, accessibility and reliability. In order to create and maintain a good relationship with a client, which is the basis for success, one of the most important things is always honoring the schedule. This means that you must do your very best to make sure you are there for the session on time and with no external interfering factors such as, for example, a bad internet connection. Having that in mind, working while traveling is not as simple as it might seem and this is something I learned from experience. Distant places have always attracted me. There is something very special about submerging oneself in an absolutely foreign culture with a different language, different customs, and traditions, ways of interacting, etc. And Latin America especially attracted my attention. I had been thinking of ways to be able to visit this very special place for a long time and, as it often happens when we sincerely and with all our hearts wish for something, circumstances aligned perfectly to make it possible for me to do so. I had some good friends in Guadalajara and I decided to make it my Mexican home base. I rented a room in a house with four Mexican roommates, having first made sure it had a good internet connection. This is the only plan I made. I knew I wanted to travel the country, but so many places captured my attention that I decided I would just let myself go with the flow. I also decided that I would, for the first time in my life, travel alone. I had been warned many times that Mexico is not the perfect place to pursue such an adventure. However, from the very first moment I set foot in the country, I instinctively felt comfortable and secure by myself. My path led me to the most magical places I could have imagined. I walked through beautiful canyons in Chihuahua, camped in an indigenous village learning how to make corn tortillas, spent a night in the middle of a desert, stared at the clearest sky my eyes have ever seen, heard stories and met people whom I will never, ever forget. I must admit that, even though I tried to keep everything under control during this three-month adventure, my work did suffer slightly. Sometimes, places that claimed to have a good internet connection actually didn’t have one. Then there were many occasions when a bus that was supposed to arrive at a certain time arrived two hours later, broke down along the way, etc. From time to time, this would interfere with my sessions, and after a while, I realized some changes had to be made. In my case, this means that the next time I decide to explore distant places, I will stay put during the working week, and move and travel during weekends. Looking back on the whole experience, my conclusion is that yes, you can definitely work while traveling. However, a bit more attention needs to be paid to logistics. This doesn’t mean that you need to take away all the spontaneity from your journey, but it does mean that you need to take more time and move from one place to the other at a somewhat slower pace, which can actually have its advantages. 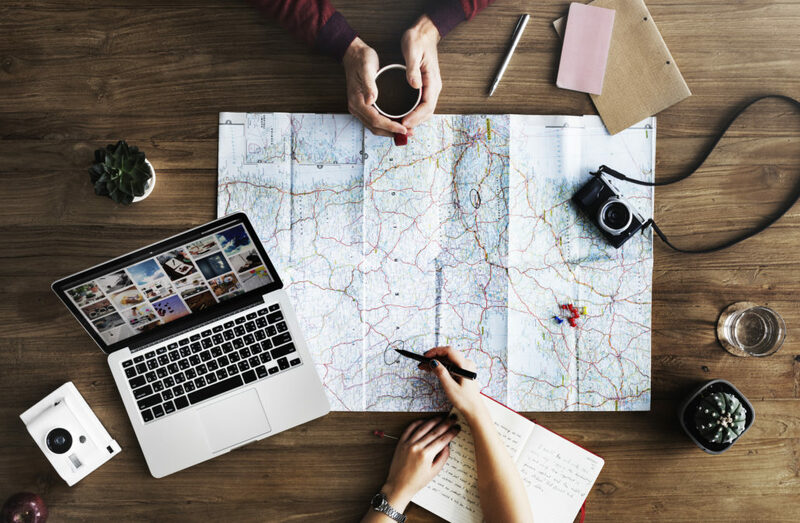 So, if you have a job that doesn’t constrict you to one place, organize yourself and don’t miss out on the chance to travel. Just be careful. Once you do it, you’ll probably never completely stop.